Home / Blog » Take Your Practice to the Next Level With an App! Take Your Practice to the Next Level With an App! There are five times as many mobile phone users in the world as there are desktop computers! There’s no question that mobile internet usage will eventually take over desktop internet usage, as the desire to virtually connect anytime, anywhere continues to grow. Currently, 77% of Americans own a smartphone, which is a staggering increase from just 35% in 2011. Digital health apps can benefit your patients by being convenient, efficient and educational. 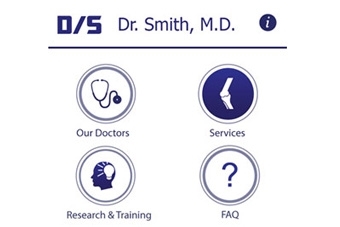 They are an efficient and convenient way to not only connect you with your patients, but also provide patients with valuable mobile resources to your practice. An app for your practice can engage patients with their health by allowing them to schedule appointments, monitor medications, and helping patients follow their treatment plan accurately. Apps are more than simply having the same content as your website. They can improve access to care as well as enhance the patient experience with your practice! Did you know that 35% of healthcare providers offer mobile apps for their patients? Apps can benefit your practice by making it easy for patients to communicate with your practice and it allows easy access to patient medical records. A practice or hospital app is a great way for patients to connect with you easily right from their phone, so your practice will always be right at their fingertips. 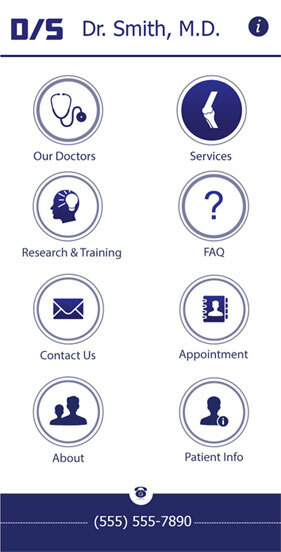 Your Practice Online can build a customized mobile app specific to your practice or hospital.